Now this is a collar we LOVE! Delicate and intricate Roccoco style patterns in white are set on a muted tangerine-orange background. 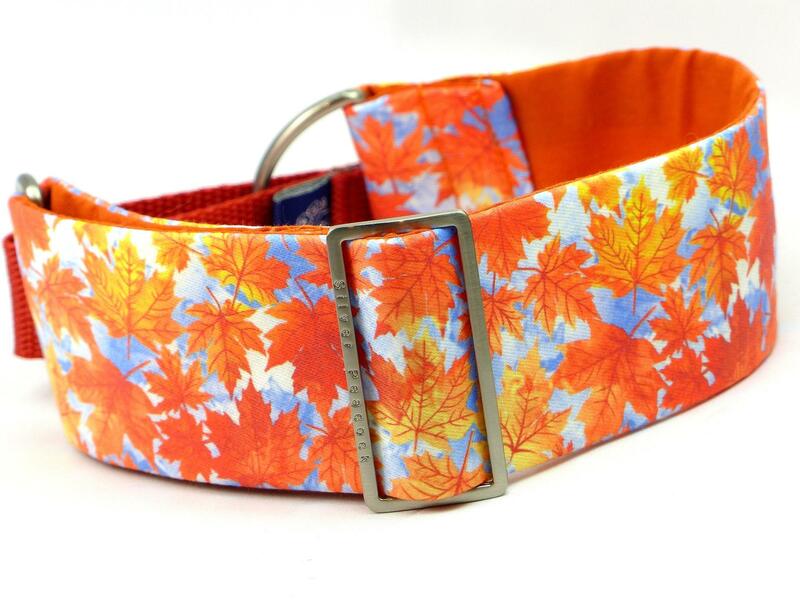 So many hounds are going to look amazing in this unusual print. The collars are lined in co-ordinating tangerine orange fabric and are finished with our signature robust silver coloured hardware.